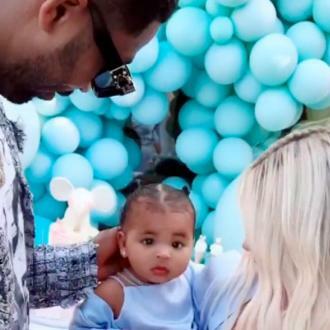 True Thompson was born on Thursday (April 12th 2018), and while her name was up in the air for a while, Khloe did confess previously that she was going for a name beginning with 'T'. Plus, there is a familial link to the name - it's not just veiled sarcasm against Tristan as some people might have wondered. Another surprise might be that True has taken the father's last name, especially in light of the cheating rumours. You would think their relationship would be on the rocks, but this gesture sort of suggests otherwise. Let's hope the baby True can live up to her name and be a good influence on Tristan.